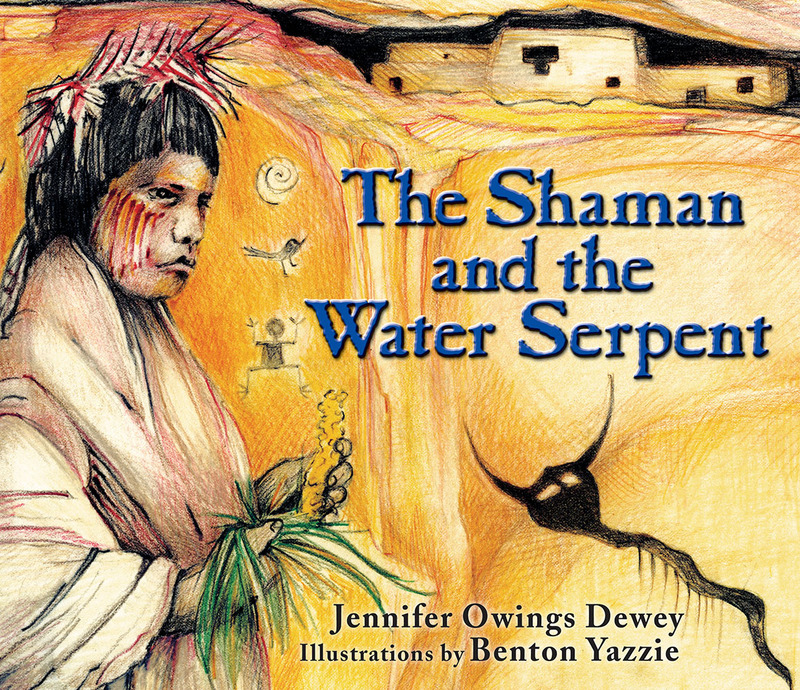 The Shaman and the Water Serpent is a book for children that demonstrates how ancient Puebloan peoples carried out their daily lives. Renowned children's author Jennifer Owings Dewey writes about the Puebloan peoples' relationships with animals, and Benton Yazzie recreates the rock art depictions of familiar animals: deer, antelope, and rabbits. Characters include the shaman, a man with supernatural power who provides insights into the mysterious world of gods and the spirits. Men and boys honor the animals they hunt by singing songs to their spirits, while the women, children, and old people wait hungrily back in the village. A drought has set in and the villagers wonder when the rains will return. As they hope for rain, the women and girls tend to the corn and the men sharpen their arrow points for the next hunt. The water serpent, a revered animal, travels along the riverbanks and is thought by the Puebloan peoples to be just the animal to coax the rain back onto their dry fields. Illustrator Benton Yazzie (Navajo) lives in Albuquerque. Jennifer Owings Dewey is a prolific writer and illustrator of children's books, most recently Antarctica: A Journal of Days. She lives in Santa Fe.